One of the most important steps in becoming an RN is taking the National Council Licensure Examination for Registered Nurses (NCLEX-RN). This exam measures the skills necessary to work safely and effectively as an entry-level registered nurse. NCLEX-RN Review 3500 – Institutional Version was developed using the NCLEX-RN test plan as a guide, providing a comprehensive review to help identify your strengths and weaknesses and tailor your NCLEX preparation accordingly. The NCLEX-RN test plan integrates both client needs categories and the nursing process. evaluation (determining if the goals identified in the plan of care have been achieved). Can you please send me any material .Test material .Advice as well, as how to prepare better for the nclex exam that I am taking on Thursday.Thank you. Yes it is the Nclex RN exam. pls. can you send me nclex pn exam review questions. Can you please send me some sample questions in bulk and some sample question on a regular basis. Thank you. plz send me NCLEX-RN saudhi prometric sample questines @ free price,to my email, thanks ,iam waiting. plz send me sample questine for HAAD exam….. Please send me a copy of the free Rn NCLEX exam. Thank you so much. please send me sample questions on my email need to take prometric exam.. I would like toappear to the PROMETRIC EXAM this May 10,2011,So kindly help me to pass my exam plz. Gud bless U alwz…Thank U so much. i would like to appear to the prometric exam so kindly help me an tel me the procedure of the exam how n wher n wat to do. plz help me. plz sent me some nclex questions.. Please send me some NCLEX-RN review questions. I need some peds questions to practice. please send me bulk of your nclex sample questions…thanks in advance! God Bless! Send me review questionpls.I took 3 times i didnt pass.pls help me get my licences. can you please send me RN and LPN practise question and answer to my e-mail box. Please send me sample questions in bulk on regular basis. can i have review questions?.. 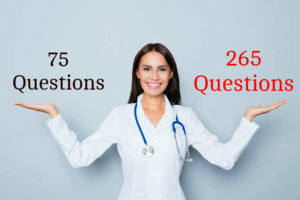 send me some sample of nclex question for my practicising myself at my home…..